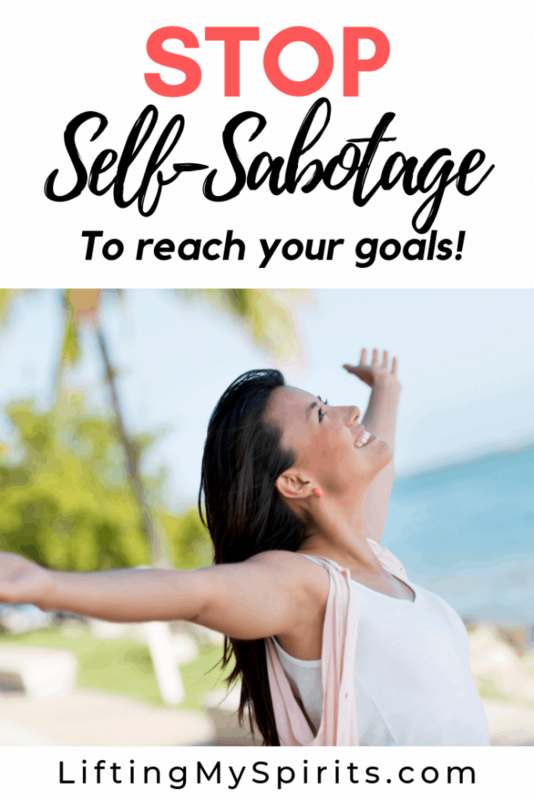 The sneaky part of self-sabotaging is that we may not know we are doing it or why. Let’s shine some light on the ways we do it, then go over strategies to stop it. Maybe we have worked hard to achieve things (degrees, promotions, parenting, etc. ), but instead of feeling more confident, we feel like we have to work that hard just to be adequate. Our self-perceived flaws compel us to work harder. If the feeling of being flawed is strong enough, failing makes sense. Success would be uncomfortable. It doesn’t really fit with our story. We like to be in control. I’ve seen this happen in the classroom frequently. Failing on your own terms is like a controlled fall. It’s comfortable because it’s predictable. If you go “all-in” to succeed, but fail, that feels worse because it’s almost like you were fooled by your enthusiasm to chase this goal. It’s better to quit now while you can plan on it. No surprises. This is the “imposter syndrome”. You may have read about that before. The more we’ve achieved, the more fear there is that people will find out that we were a fake all along. It’s not real. It’s a fear that can sabotage our success. I didn’t pass math because I didn’t do the homework. I’m out of shape because I don’t have time to go to the gym. In our minds, we’re blameless. If I was able to do things differently, the outcome would be different. But I’m helpless to control the circumstances that forced me to make those choices. Deep down we believe we’d be happier if we changed, but change is uncomfortable. We like our routines, even if they aren’t serving us well. 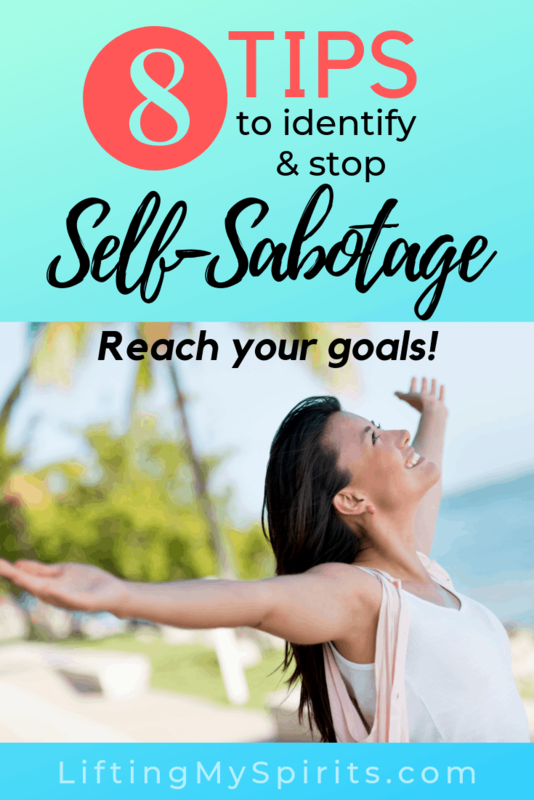 This self-sabotaging behavior is similar to the one about being in control. Many of us know how to get things done in other areas of our lives. We plan, we implement, we troubleshoot to avoid problems…and things work out fabulously! But a successful fitness and nutrition program needs a long time to work and it’s impossible to do it perfectly each and every day for that long. Setbacks derail us because they are evidence that we aren’t doing it “perfectly” so in our minds it’s not working. We are unable to trust the process. If you plant a sapling today and expect that tree to provide shade next month, you’ll be disappointed. I think most people recognize that expectation is unrealistic. But they don’t realize that biology rules our bodies, too. The expectation is that sustainable and healthy changes are fast is just as unrealistic. Frustration with a reality that doesn’t match expectations reinforces the idea that “this isn’t working” and we’re doing it wrong. There is no point to being patient and trusting the process. Emotionally step back, pretend you’re looking at another person, and observe objectively. 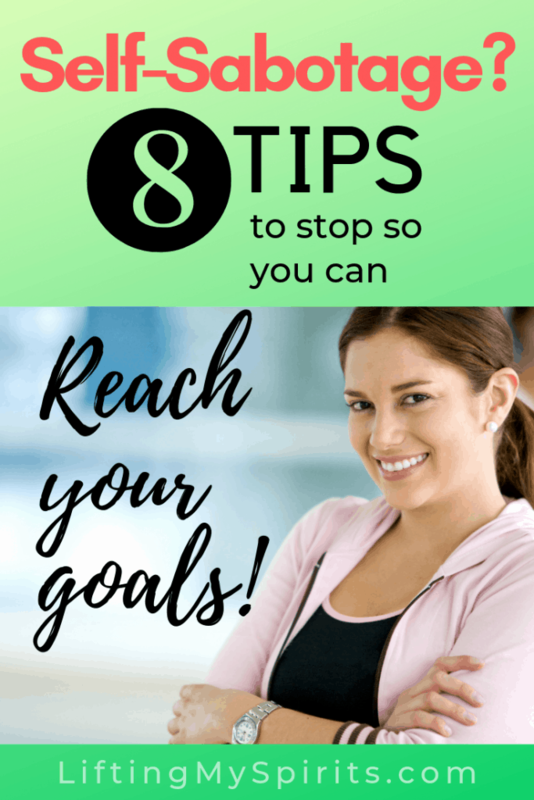 What are you actually doing to stop yourself? Study the behavior, don’t explain it or judge it. No blame. Just the facts. Adopt a “fall-down- seven-times-stand-up-eight time” attitude. Remind yourself that long term success is a process, not an event. You’ve achieved things before, so you already know there will be bad days. There are periods of time when the struggle may be a little more than we can handle, but those times are temporary. Think of it as a journey, a very long walk, and this is the part when you’re walking up hill…against the wind…and it’s raining…and you’re not wearing comfortable shoes. Let that go. Consistency is what works, not perfection. Over the years as a teacher and as an “older” athlete, I’ve observed that people who want to change something about themselves will bail early on a new program when they figure out that they can’t do it perfectly. There are MANY paths to success and almost all are not straight or paved! Detours are the norm, not the rule. But for over-achievers who are used to striving for perfection when working on a task, those setbacks can feel like failure. If the things you’re doing are scientifically-based best practices – be patient. It’s working. Takes time to change enough cells to see something on the outside. Tip 5: Self-care is NOT selfish, but self-sabotage might be. For those of us who feel guilty about making time for self-care, this is a harsh wake-up call. But think about this from another perspective. Is there anyone in your life that isn’t taking care of themselves? Was there someone in your family who wouldn’t break a destructive habit? I’m not trying to guilt anyone because when you’re struggling, you certainly don’t feel selfish. But think about that loved one who could have made a change but didn’t. The hard truth is that self-sabotage hurts others, too. I’ll never forget the look on my husband’s face when I was lying in the emergency room and the doctor told us that I would die early if I didn’t change my life. All the color drained out of his face. That’s when I realized I was being selfish by NOT taking care of myself. You may not be able to stop them from starting, but you can train yourself to catch them and keep them from running for hours. What triggers them? Stress, fatigue, hunger, or comparison to others who appear to be more successful? Please know that most successful people have their own negative-though loops, too. Having them doesn’t stop you – listening to them does. Deal with them objectively and devise a plan for how to counter them that doesn’t involve self-sabotaging behaviors. Identify what you want to achieve and find someone you trust to hold you accountable to stick with your plan. Personally, I needed a trainer in the beginning and still use an online coach. I’ve worked with a few and learned what worked – and what didn’t. When I started my own online coaching business, I included a coaching program for people that’s called Accountability Only that provides that support for people who don’t need programming, just someone to help them stay on track. I think this is a bit easier for those of us who have been on the planet long enough to realize the time we have left is precious. If you’re not living your best life each day, when do you want to start doing that? What do you want to be able to do? If you try something and don’t like it, ok. But NOT trying something you think you might like can become a regret later. Tammy became an athlete in her 50’s and is passionate about helping other busy adults transform their health. Each individual has a unique combination of strengths and challenges that have to be used to shape a program that will work. Science-based principles, flexibility, accountability, and support make all the difference. Brilliant! So important.. great blog!